It was an all-too familiar scene. Bare shelves in supermarket produce aisles. Salads removed from menus in restaurants. 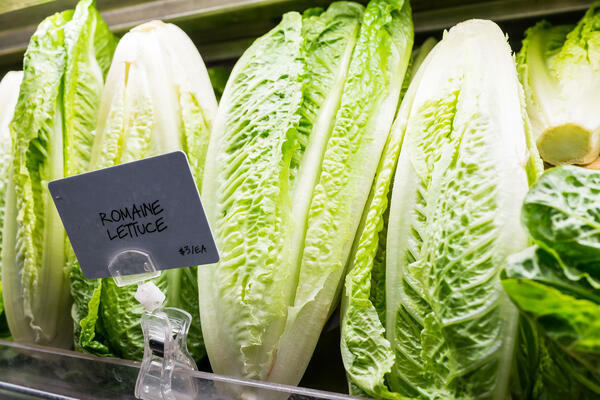 When all was said and done, the 2018 romaine E. coli outbreak left 62 people sickened, leading to an unprecedented nationwide recall. Whether it’s romaine lettuce, spinach or ground beef, food recalls are becoming almost commonplace. According to the Public Interest Research Group (PIRG), there were 703 food recalls last year, a 10% increase compared to five years ago. In the meat category, the most serious recalls—class 1—were up by 83%. Every year, foodborne illnesses kill approximately 3,000 people. Every retail food business must reach two audiences: franchisees/store owners or operators and the end consumer. Since each group has different priorities, you should create two sets of messages to address their individual concerns. With these in place, work closely with your immediate customers—franchisees or store owners—to walk them through all the steps of the process. Let them know that they should never respond to a media inquiry, but rather direct them to the approved corporate spokesperson or executive within the chain of command. You might recommend that they place a card at the cash register to let employees know how to respond to media requests. In the aftermath of a major crisis, it’s important to think about how to help your brand recover and reemerge stronger than before. You don’t want to pull the trigger on making significant changes until the immediate crisis has subsided. Otherwise, it’ll look crass and opportunistic. Think about steps you can take to ensure you’re preventing a repeat of the crisis. Is there an appropriate nonprofit you can partner with to support your efforts? Are there internal changes you can institute? There’s a reason why Tylenol is still considered the gold standard in crisis response. It’s also important to publicize your efforts and other positive news, as it will help to push negative coverage lower into the sort queue, which is key for online reputation management. You can’t always prevent a food-related crisis, but you can prepare for one. Remember, in times of crisis, every second counts. Are you ready?